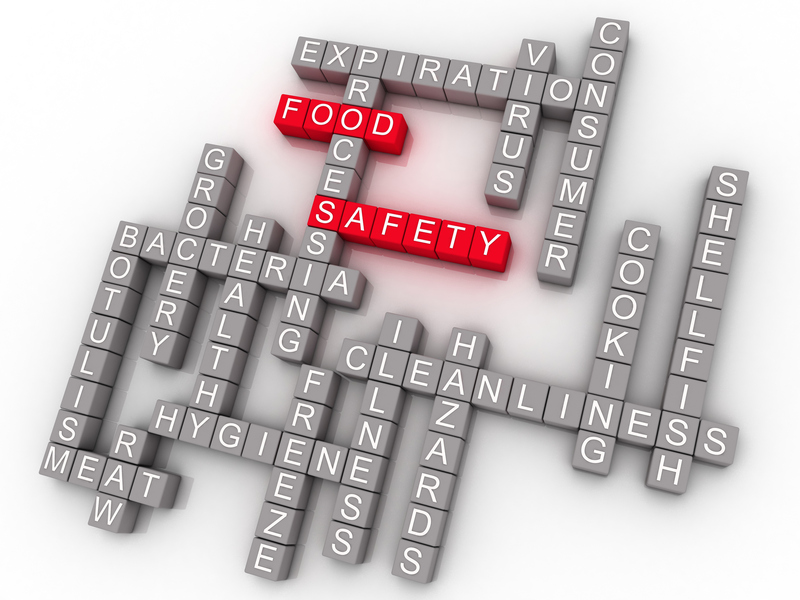 There seems to be a lot of information on food safety issues online. But I’m wondering, is there somewhere or someone I can call for help when I have questions about food safety? CFAES Food Safety hotline offers expert opinions on food questions for consumers. You can call 1-800-752-2751 between 9 a.m. and 5 p.m. Monday through Friday, and a food safety expert from the College of Food, Agricultural, and Environmental Sciences (CFAES) at The Ohio State University will likely have the answers to your food safety questions. Created in 1985 by the CFAES Food Industries Center as a service to support the needs of Ohio-based food processors, the Food Safety Hotline is now a consumer resource for any popular food issue, according to Heather Dean, who serves as the hotline’s coordinator. The hotline is now accessible by consumers nationwide, thanks to a partnership started with The Kroger Co. in 2009. Consumers can also email their food safety questions to foodsafety@osu.edu. Faculty and staff members from the Food Industries Center, CFAES’s Department of Food Science and Technology, and related programs will respond to those emails. Trained CFAES staff and students answer the hotline, which averages about 100 calls per year, Dean. said. “We get calls more frequently during the summer when people are canning food, and during the holidays when people have questions about Thanksgiving turkey,” Dean said. “This service is a reliable resource for people who don’t have access to the Internet or for someone who wants to validate information they’ve seen online. Calls to the hotline typically average about 5 minutes, and if the food safety experts don’t have the answer, they will take the caller’s contact information, research the correct answer and call back with the requested information. The service is free and open to all. And calls made during off times are answered by voicemail and will also receive a call back. Editor: This column was reviewed by Heather Dean, Food Safety Hotline coordinator for CFAES. Are You Eating Out for Valentine’s Day? With all the recent media reports of foodborne illness caused by eating at some restaurants, how can I know if the place I take my sweetie this year for Valentine’s Day won’t make us sick later? Valentine’s Day is the 2nd most popular holiday for dining out after Mother’s Day, according to the National Restaurant Association. Photo: Thinkstock. 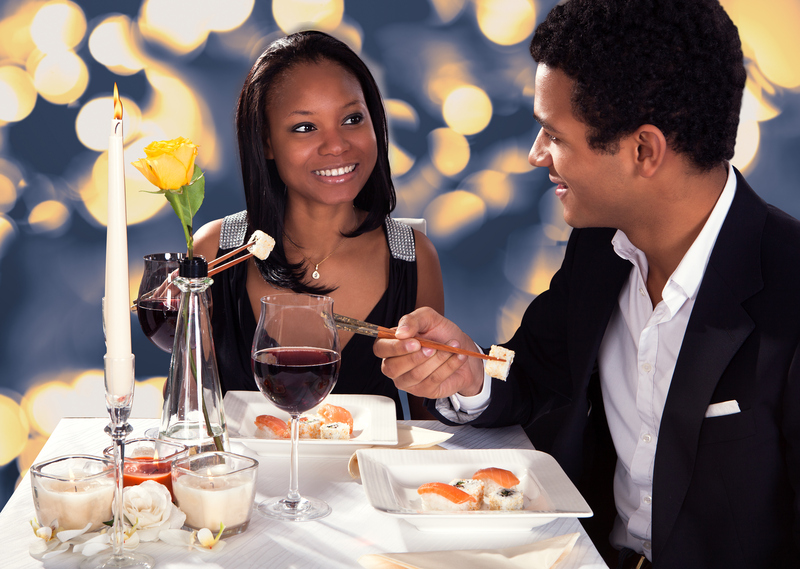 With nearly 30 percent of consumers planning to dine out on Valentine’s Day this year, according to the National Restaurant Association, it’s good to know that health officials inspect these places to make sure they prepare food safely. Local public health departments routinely inspect food establishments to ensure that they follow safe food handling procedures. Generally, inspectors check the restaurants to make sure that certain safeguards are being followed to prevent food contamination. In Columbus, Ohio, for example, consumers can easily check to see if a licensed restaurant or other food establishment has passed inspection by viewing dated, color-coded signs posted in the restaurant. The colors indicate the results of the establishments’ most recent health inspections. For example, a green sign indicates that standard inspections have been conducted and the business has met the standards of Columbus Public Health, according to the city of Columbus. A yellow sign indicates that the establishment is in the enforcement process due to uncorrected critical violations found during follow-up inspections. A white sign indicates that the business has been placed on an increased frequency of inspections. A red sign indicates that the eatery has been ordered closed by the Board of Health or the health commissioner. You can check restaurants’ health inspection records in your area by contacting your local public health department or board of health. Some restaurant review websites even publish this information. In order to make good nutrition choices once you’re at the restaurant, be aware of the nutritional content of the foods you order, including the calorie content, advises the Centers for Disease Control and Prevention. You can look up the menu’s nutritional information on the restaurant’s website, or in many cases, that information is posted on the menu or somewhere in the restaurant. Ask before ordering. Raw or undercooked eggs can be a hidden hazard in foods, such as Caesar salad, custards and some sauces, unless they are commercially pasteurized. Order it cooked to the recommended endpoint temperature. Certain foods, including eggs, meat, poultry and fish, need to be cooked to a temperature high enough to kill pathogens that may be present. Know your sodium intake. More than 40 percent of the sodium we eat comes from these common foods: bread and rolls, cold cuts and cured meats, pizza, poultry, soups, sandwiches, cheese, pasta dishes, meat dishes, and snacks. Most restaurants offer lower sodium options for entrees and dressings, so check the menu or ask the staff for suggestions. Consider ordering one entrée to share. Many restaurant servings are enough for two. And lastly, if you end up with leftovers, remember to refrigerate them within two hours of being served, or one hour if the temperature outside is warmer than 90 F. If this isn’t possible, consider leaving the leftovers behind. One more thing to take note of: in addition to having Valentine’s Day, February is also American Heart Month. Show your sweetie you care by getting active and eating healthier, maintaining a healthy weight, and controlling your cholesterol and blood pressure. And if you smoke, try quitting. Editor: This column was reviewed by Abigail Snyder, an assistant professor and food safety field specialist for CFAES, and Barbara Kowalcyk, an assistant professor in Food Science and Technology for CFAES. I went to a hibachi grill last weekend and I really wanted to eat the sprouts, but my husband was adamant that I not eat them because I’m pregnant. Who was right – him or me? Fresh bean sprouts. Photo: Thinkstock. Technically, you both were right – it really depends on whether the sprouts were fully cooked or not. Raw or undercooked sprouts pose a risk of foodborne infection because, unlike other fresh produce, seeds and beans need warm and humid conditions to sprout and grow. Bacteria that can make you sick, including Salmonella, Listeria and E. coli thrive in such warm and humid conditions. As such, the U.S. Food and Drug Administration advises children, elderly people, pregnant women and people with a weakened immune system to not eat any raw or lightly cooked sprouts at all. That includes alfalfa sprouts, clover, radish and mung bean sprouts. During pregnancy, women are at increased risk for contracting foodborne diseases, said Sanja Ilic, the state food safety specialist for Ohio State University Extension. “Listeriosis in pregnant women can have severe consequences for both mother and fetus,” she said. Raw sprouts served at Jimmy John’s restaurants in Illinois and Wisconsin were the likely source of the recent multistate Salmonella Montevideo outbreak that began Jan. 3, according to the Centers for Disease Control and Prevention. The outbreak so far has included eight people in Illinois, Wisconsin and Minnesota that ate raw clover sprouts. 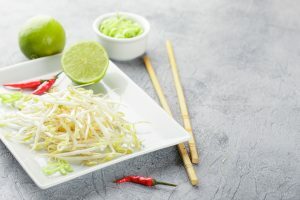 According to FDA, raw and or lightly cooked sprouts have been associated with some 30 foodborne illness outbreaks since 1996, with the majority of the outbreaks caused by E. coli and Salmonella. Symptoms of these illnesses include abdominal cramps, fever and diarrhea, which typically occur 12 to 72 hours after infection. Sprouts begin as seeds that germinate into young plants that are then either eaten raw or lightly cooked. The seed is typically the source of the bacteria. And while there are several techniques used to kill harmful bacteria that may be present on seeds, the FDA says, there is no treatment that can fully guarantee that all harmful bacteria will be destroyed. The most commonly eaten sprouts include alfalfa and mung bean sprouts, according to the Academy of Nutrition and Dietetics. So, if you want to eat sprouts, its best if you cook them thoroughly to reduce the risk of getting a foodborne illness, FDA says. Buy only fresh sprouts that have been kept properly refrigerated. Do not buy sprouts that have a musty smell or slimy appearance. Refrigerate sprouts at 40 degrees Fahrenheit or below. Rinse sprouts thoroughly under running water before use. Editor: This column was reviewed by Sanja Ilic, specialist in Food Safety for Ohio State University Extension. 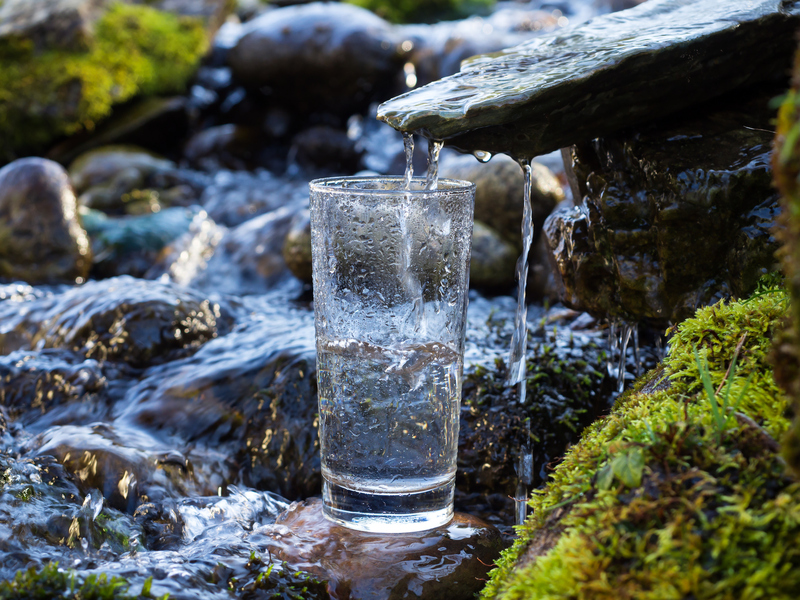 While there are some foods and drinks that are safe to consume raw, water is not one of them. Photo: Thinkstock. Field of lettuce, close-up. Photo: Thinkstock. Several people in the United States have also become ill from a strain of E. coli that the Centers for Disease Control and Prevention says is closely related genetically to the strain that caused the outbreak in Canada. In fact, 24 such illnesses have been reported in 15 states, including Ohio, between Nov. 15 and Dec. 12, 2017, the CDC said this week. 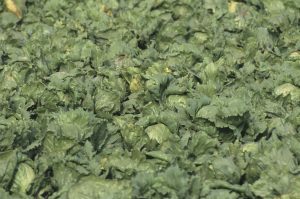 The likely source of the outbreak in the United States appears to be leafy greens, the CDC said, noting that the agency has not identified a single type or brand associated with the outbreak. Their investigation is ongoing and includes interviewing sick people to determine what they ate in the weeks before their illnesses started, the agency said in a written statement. “Preliminary results show that the type of E. coli making people sick in both countries is closely related genetically, meaning the ill people are more likely to share a common source of infection,” the CDC statement said. The illness in question is a multistate outbreak of Shiga toxin-producing E. coli O157:H7 infections. This strain of E. coli can produce a toxin that in some cases can cause serious illness, kidney failure or death. Thus far, at least five people in the United States have been hospitalized and one has died, according to the CDC. There has also been at least one death in Canada also, according to Consumer Reports. 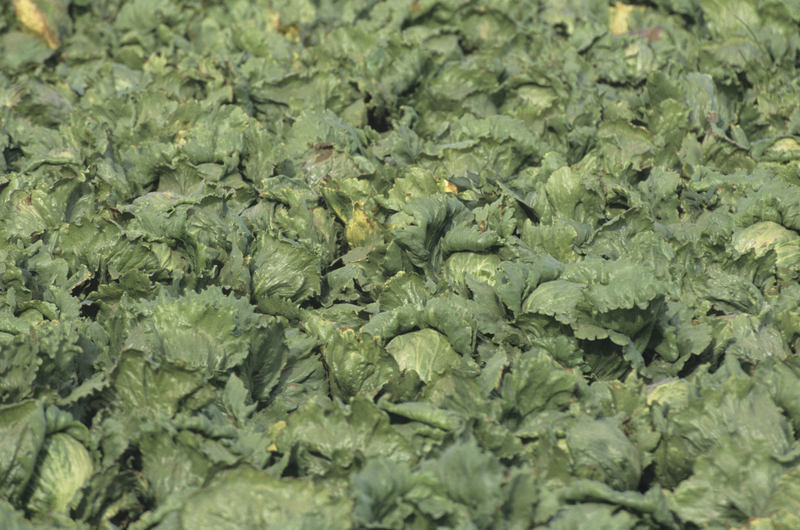 So how can leafy greens become contaminated with E. coli? If animal feces are in the field or soil in which the lettuce is grown, or if the lettuce comes into contact with water that contains the pathogen, E. coli can be transferred from the feces onto the lettuce. It can also be spread if a person who carries the bacteria doesn’t wash his or her hands after using the bathroom, and then processes or prepares food, said Abigail Snyder, an assistant professor and food safety field specialist in the College of Food, Agricultural, and Environmental Sciences (CFAES) at The Ohio State University. It’s important to note that washing contaminated greens doesn’t remove all bacteria, food safety experts say. While cooking can eliminate E. coli, most people don’t cook their leafy green salads. For that reason, avoidance is sometimes recommended when the source of an outbreak is identified. Symptoms of E. coli infection can begin as soon as 24 to 48 hours or as long as 10 days after eating contaminated food. Those symptoms include vomiting, severe or bloody diarrhea, and abdominal pain.